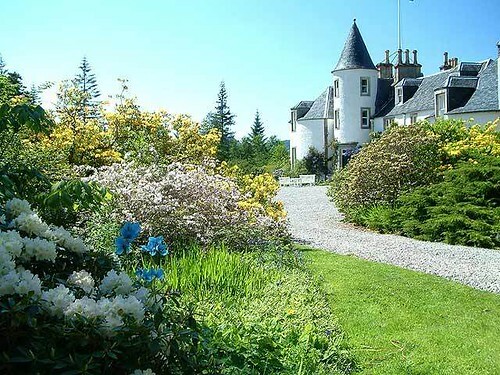 Enjoying panoramic views across the waters of Lochcarron and the dramatic hills of Attadale, Park House is the perfect holiday base for exploring this wonderful part of the Highlands. Day trips to the Isle of Skye, Eilean Donan Castle, NT Inverewe Gardens or the villages of Plockton and Applecross. The renowned Lochcarron Weavers Tartan Mill is approximately 1 mile with the village of Lochcarron under 3 miles. Climbing, hill walking, mountain biking, kayaking, fishing and golf are just a few activities available. Shops, pubs and restaurant 2.5 miles. Ground floor: Living/dining room. Kitchen. Bathroom with shower attachment and toilet. First floor: 3 bedrooms: 2 double (one with access from one side only), 1 twin. Shower room with toilet. Woodburner in living room (initial fuel inc). Gas CH inc (7-9.30am and 5.30-9.30pm daily). Elec, bed linen and towels inc. T/cot. H/chair. Elec cooker. M/wave. W/machine. D/washer. F/freezer. Shared enclosed lawned garden with sitting-out area and furniture. Natural, unspoilt grounds. Natural water supply from spring. No smoking. 1st comment: Nice house, beds too soft for us. Really enjoyed staying in Park House. Chairs in the bedrooms would be handy. Sept 2011. 2nd comment: We found the property was a bit too remote (entirely our own fault), as you really had to drive 24 miles before you could go anywhere. That said it was in a beautiful location and if you enjoy walking you couldn’t be much better placed. 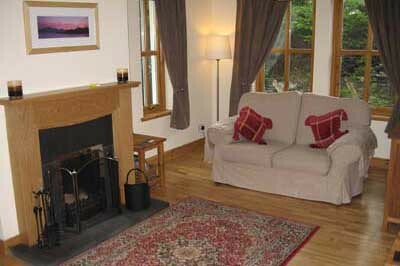 The cottage was very nice and had everything you need while on holiday. Aug 2011. 3rd comment: It was in a beautifull setting and was very well appointed. Oct 2010. 4th comment: Lovely property with adequate space for all the family. Aug 2010. 5th comment: The property was in a perfect location for touring. It was very comfortable, very spacious and had everything you could possibly want. We were very surprised at the size of it. The only down side is the steepness of the drive, a four wheel drive would be good! However, there is room to leave the car outside the gate. Sept 2009. 6th comment: Plenty of room, lovely view, well equipped. Aug 2009. Sunken garden with spectaculare views. Readers of Gardeners' World magazine choose Attadale Gardens as their favourite Scottish garden in their 2010 Gardens to Visit guide. Enjoying views across open croft land, this traditional house is close to the loch side, ideal for exploring this wonderful remote area. Sleeps 5 in 3 bedrooms.